Home / Entertainment / Video / Find out what this toddler did which made millions of netizen's hearts melt! 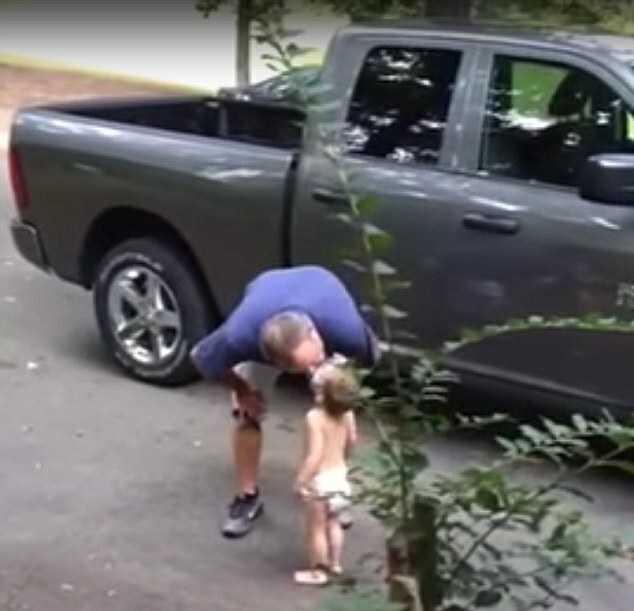 A heart-melting video viewed by more than 24 million people after it was posted on Facebook. A cute toddler can't seem to stand to be apart from his father! He spent almost three minutes saying goodbye and shouting "I love you" at him. The sweet little boy was Carlton, who is believed to be from America, was filmed hugging and kissing his dad as he tries to leave the driveway. Carlton was only dressed with his nappy wandering over to his father's car while saying "I love you daddy". His father replies him with a sweet I love you too. He asked little Carlton is he came to give him 'bye byes'. They were seen cuddling each other along the driveway before Carlton strolled back over to his mother. Carlton then shouts, "Bye bye daddy!" to which her father replies, "Bye bye son!". They continue to show affections and blow kisses to each other as the father slowly drives away from Carlton. Even when the car is no longer in sight, Carlton still continues to shout and wave. The adorable video garnered heaps of praise from online users and got over 207,000 comments on Facebook. One netizen was touched and commented, "The most adorable thing ever! He must be late to everything!" Another said the delightful video brought her to tears, "Am I the only one who started crying after the fifth "I love you"? Kids are so amazing! And the dad is AWESOME!" While one joked, "Legend has it he's still saying I love you and his dad never made it to work."